Jesus asks to be our king, yet he had no political ambitions. Clearly, his kingdom is far above politics. This was the basis of Pope Francis’ reflection before praying the noonday Angelus on November 25, 2018, with the crowd of some 25,000 pilgrims in St. Peter’s Square. The square was a sea of umbrellas as the faithful braved pouring rain to be with the Holy Father on the Feast of Christ the King. The Pope pointed out the irony that we celebrate the kingship of Jesus on the last day of the liturgical year. But this is appropriate because the end of history will harken in His eternal reign. 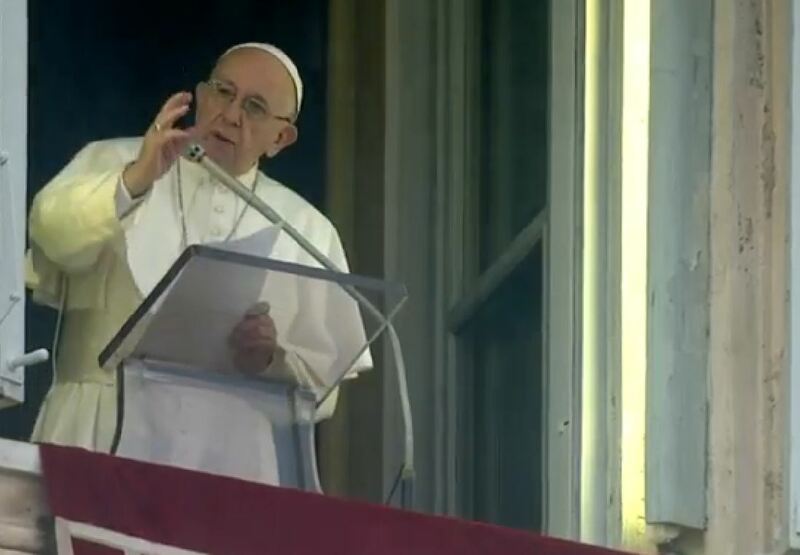 The Holy Father reminded the crowd that after the miracle of the loaves and fishes, the people wanted to declare Jesus their king and overthrow the Romans. They wanted “political” freedom. Of course, Jesus would have none of this and withdrew to pray. When questioned by Pilate about his ambitions to be king, he explained that his kingdom was not of this world. He and his disciples were not fighting for political position. They were working to build a kingdom based on love.